Avendus is the exclusive financial advisor on the acquisition of Tata Interactive Systems by MPS Limited. 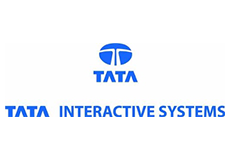 Tata Interactive Systems (“TIS”), a leading global corporate e-learning consulting, products and services provider and a strategic business division of Tata Industries Limited, today entered into definitive agreements for its acquisition by MPS Limited, a leading provider of platforms and content solutions to publishers and enterprises. The terms of the transaction were not disclosed. Avendus Capital is the exclusive financial advisor to Tata Industries Limited. Founded in 1991, TIS is part of the prestigious Tata Group, which provides e-learning services and products to corporates, government bodies and educational institutions across the world. It has marquee clientele including 70+ Fortune 500 companies and has won 100+ global awards in the eLearning space, including 46 Brandon Hall awards. It has a talented pool of instructional designers, graphic experts, animators, simulation and software designers, delivering leading solutions from Europe and India. In recent times, the company has also built strong credentials in the areas of simulations, AR/VR, designing of experience centers and gamification.